The friction involves Union Pacific’s “right of way,” the 100-foot-wide passage granted under President Abraham Lincoln, a former railroad attorney, in the 1860s as a way to develop the West. It isn’t an idle boast that the company still values its property, as the California High Speed Rail Authority is learning while it tries to build alongside Union Pacific’s right of way in Fresno and Madera. In a 2010 letter, Union Pacific warned the state that it would not tolerate any rail construction that impinged on its right of way or that limited its access to customers along its route. In 2015, the rail authority awarded a contract, now valued at $69 million, to cover Union Pacific’s costs. The rail authority relies on Union Pacific’s cooperation not just for the Central Valley stretch. It also hopes to build about 30 miles of track on right of way owned by Union Pacific between Gilroy and San Jose. So far, Union Pacific has said simply that there is no agreement for that section. The conflict surfaced in a June letter, which was obtained by The Times, from a team of contractors led by Sylmar-based construction giant Tutor Perini. The letter cites 20 different areas where the railroad has interfered with the construction, including temporary tracks called shooflies, utility relocations and staging areas. 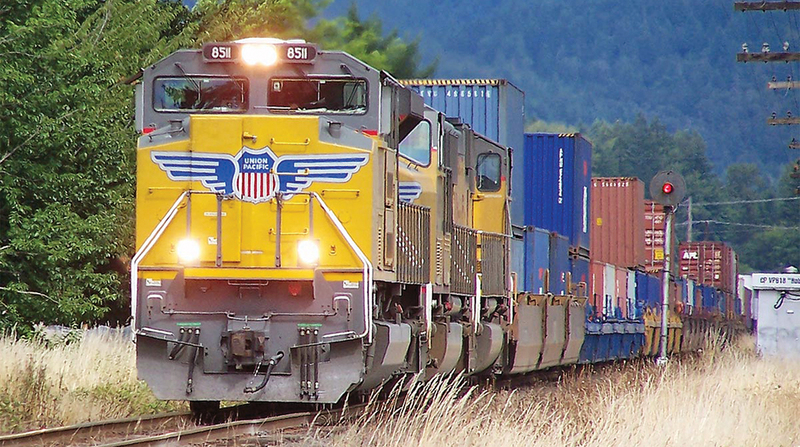 Union Pacific, the letter claims, has refused to hold meetings to resolve issues. And it says the railroad has repeatedly violated a broad engineering and construction management agreement. The rail authority’s failure to enforce the terms of that agreement “continues to severely impact the project cost and schedule,” the letter says. The rail authority and Union Pacific say there is little discord. Thomas Fellenz, chief counsel for the state rail authority, said he isn’t aware of “any specific tension that is occurring” with the freight railroad. Fellez said he met with Tutor representatives and can’t say yet whether Union Pacific is at fault for causing delays. So far, the rail authority hasn’t met with Union Pacific, he said. Tutor Perini CEO Ron Tutor did not respond to a request for comment. The Tutor Perini letter signals that the company may file another delay claim against the state. The team already received a $50 million settlement on a previous delay claim, and last year a letter indicated it had another delay dispute worth more than $200 million. Fellenz said the only settlement has involved the $50 million deal. Construction on the Madera-to-Fresno segment is years behind schedule, a result of the rail authority’s difficulties in acquiring land. The estimated cost of the segment originally was $1 billion, but it is now up to $1.5 billion — a 50% cost overrun, according to the rail authority’s July operations report. The entire project, which promises service between the Bay Area and Southern California in 2 hours, 40 minutes, is 11 years behind its original schedule and its cost has grown from $33 billion to $77 billion. In practice, Union Pacific exerts enormous legal and political power, said Jerome Schlichter, a St. Louis attorney who has litigated more than 100 cases against the company. Union Pacific will protect its right of way and has the power to significantly delay the project, said Stanford University history professor Richard White, noting that the railroad’s economic and political influence in the state stretches back 150 years. Land grants allowed Union Pacific, along with the Southern Pacific line it would later acquire, to decide the locations of stations, which became the major cities of the Central Valley. Its vast land holdings later become the oil fields and almond orchards that drive the economy. Now, any mistake the state makes in managing bullet train project, White said, makes it vulnerable to the company. “Union Pacific can’t stop the project, but it can delay it again and again,” White said.